This is what most of my photos document of my Asian trip : PARADISE ON EARTH. TO PROVE MY POINT…HERE IS A VIDEO OF THE FIRST 4 MONTHS ON THE ROAD. Well of course! Who would like to see the picture of plastic bottles and rubbish, floating in the sea in Koh Tao, or my messy face as soon as I wake up in the morning? You see, traveling made me realize that most people don’t have the slightest idea of what life in Asia is like. I mean, you see amazing pictures and you automatically think that everything is perfect and that I’m living in some sort of dream world. I feel this is a bit like “false advertising”. In this post, I’m going to show you some of the “behind the scenes” facts about my life in Thailand. This way, If you ever decide to take off like I did, you won’t resent me for showing you only the bright side of traveling in under-developed countries. Even if it seems that I’m complaining about the following points, rest assured that I’m secretly loving every bit of this crazy life! What is a real adventure without the challenging/scary part of it after all? 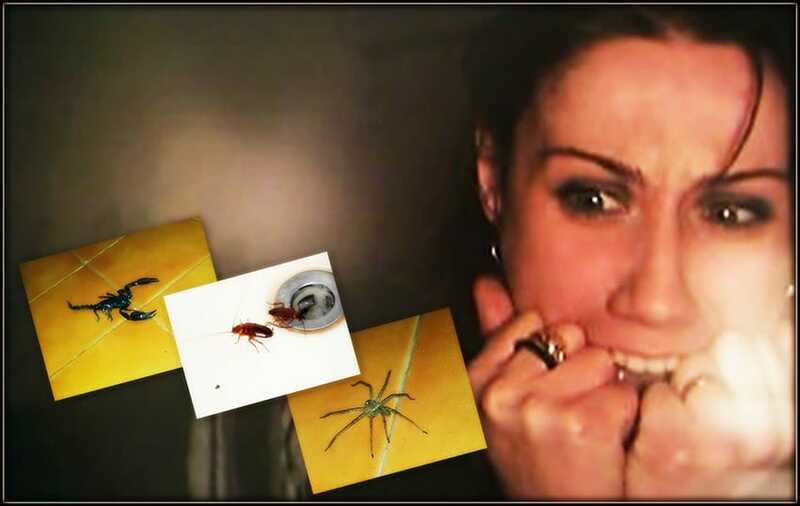 It would be much like your average holiday in August at your Grandma’s beach house, not exactly what I call an exciting scenario 🙂 So let’s get started with the lovely encounters with my new horrible pet animals/insects. 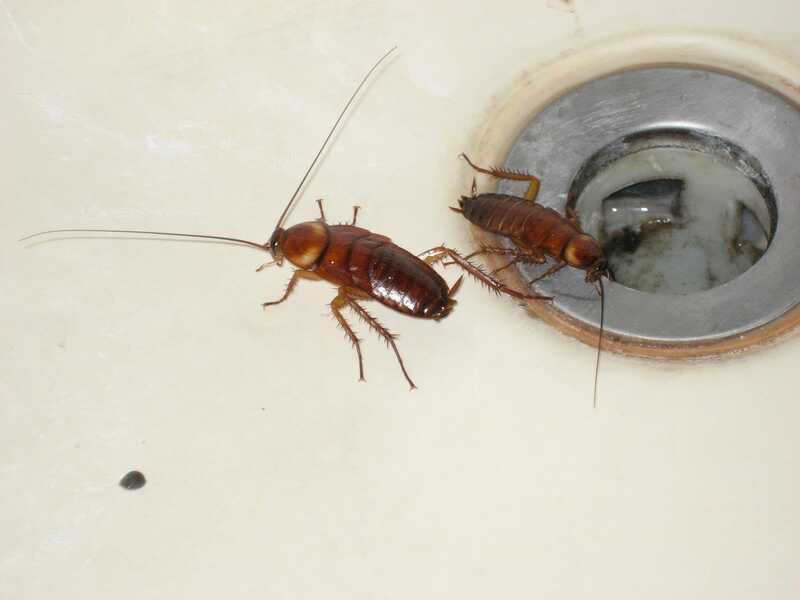 I have a proper phobia for cockroaches, and at first I just couldn’t help but screaming and running all over the place like a crazy person when I spotted one. After a while I realized a simp,e fact: I had 2 choices: leave the house or get used to them. Cockroaches are vain too you know. 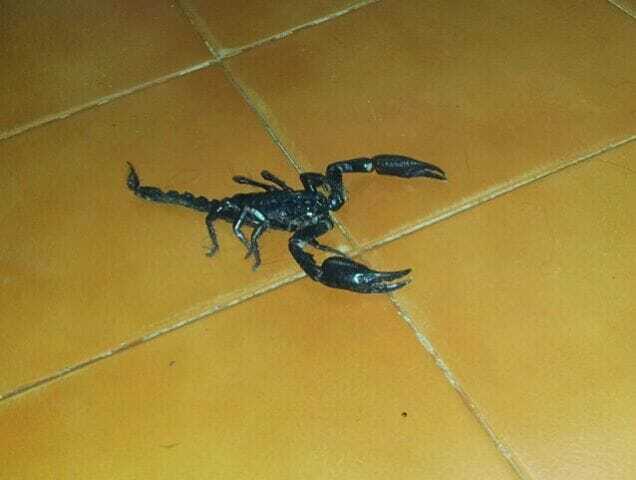 Yes, this cute “little” scorpion decided to visit us to add some excitement to a boring Saturday night at home. “Sgorby the Scorpion” as I renamed him, left the house on his own once and then decided it was cozy enough to pay another visit. This time he was “kindly” showed the door and I guess that he’s now too resented for our rudeness to show up again. And I really hope it stays this way for a very long time. Sorry buddy, that was A HELL of a scare honestly! especially after my (now ex) boyfriend told me that in the previous months he found Sgorby’s brother under his pillow….I would have died in horror! It turned out that Sgorby was not that impressed by our rude manners and decided not only to come back, but to bring a friend with him. Both of them thought that crawling up my legs when I was asleep was such a fun idea. After the initial shock, I managed to survive. Phewww. Here he is..my lovely friend Spider Gonzales. He showed up the same boring Saturday night when Sgorby decided to visit us. Evidently, the gossip of our boring night spread trough the village quite quickly and the huge spider couldn’t be left out of the party, could he?! To be perfectly honest, I already met this furry friend in the bathroom the previous night. I turned on the light and there he was, standing on the mirror doubling his nasty reflection. As if he wasn’t already scary enough just being himself! We found out that cockroaches and spiders are pretty vain here in Thailand. Well this is a sad story as I actually like geckos, I think they are very cute (unless they have the dimension of a crocodile like the one I saw in Koh Pangnan). We found this one sticking to the wall with his hand in a high-five position. I didn’t immediately realized that he was dead. 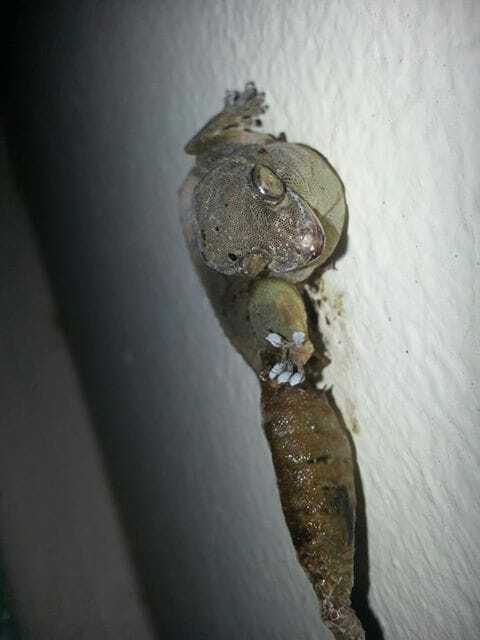 He was too high on the wall to clearly see it, but what you see on the picture it is just the skin of the once living gecko. 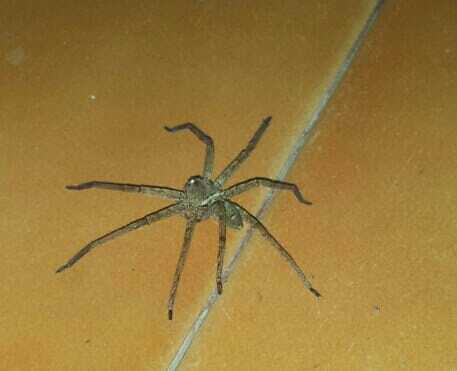 I noticed that this one was a bit swollen and I started analyzing it from behind.My boyfriend thinks that he must have been brutally assassinated by The Spider Gonzales. We are still in the process of collecting the evidence to put together a decent case. My poor gecko bravely tried to look decent even after his death. He kept his cute outfit, and by staying on the wall,proudly avoided being eaten by the evil ants. But the brave little reptile couldn’t keep his exquisite appearance for too long. He’s now slowly falling apart. At first he lost his tail, and now he is finally resting in peace on the floor, awaiting for a decent funeral in my trash-bin. Ahhh the Joy of travel! These are my most significant encounters since I moved to the remote village of Map Ammarit in Thailand. However they are not the only ones. How can I forget about the cricket who jumped on my face whilst I was peacefully sleeping, the many centipedes running marathons on my floor, or the moth I accidentally step onto with my bare foot? (So gross). These are the obstacles that I’m (LITERALLY) trying to avoid every day and night. Sometimes when I pay a visit to the toilet in the dark I feel a lot like Harrison Ford in “Indiana Jones and the cursed temple”. Remember that scene where he had to pass through a narrow, dark path full of all sorts of disgusting insects?! Well I remember that scene really well. It shocked me and I thought I would have never survived to such a disgusting experience. But here I am, still alive, facing my personal dark, narrow path. Avoiding spiders, moths, centipedes, cockroaches and scorpions. Holly it Batman!!! I would never be able to sleep! It makes me want to make some sort of hammock and pray those horrid insects don’t find a way of cuddling me in my sleep! this can be a very useful web site! nicely written, it looks like i am there with you and your friendly insects! Keep on updating the blog, its really entertaining.